today I’m waiting on LEGACY OF KINGS (Blood of Gods and Royals #1) by Eleanor Herman (expected publication: 25th August 2015 by Harlequin Teen). It’s a YA Historical Fantasy and a re-imagining of the life of Alexander the Great. Doesn’t it sound amazing?! 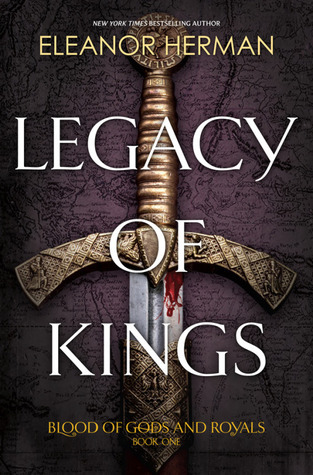 This entry was posted in Waiting On Wednesday and tagged 2015 release, Blood of Gods and Royals series, Eleanor Herman, EM Castellan, Legacy of Kings, Waiting On Wednesday, YA Historical Fantasy, Young Adult literature. I didn’t realize this was a historical reimagining type of of story. Very interested now! Over to Goodreads to add it to my TBR.